Calling all Senior College Students major in IT, Computer Science, Information Systems, Computer Engineering, Computer Programming, Mass Communications, Journalism, Broadcasting, Education, Marketing, Business Management, Accountancy and those other students interested. 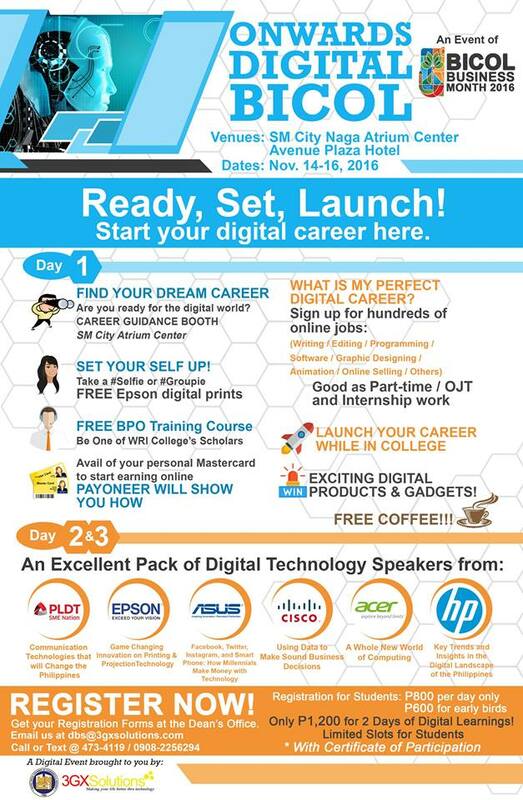 Early bird rate for professionals and businessmen is P1,200.00 only. Included are the registration kit, AM and PM snacks, and lunch. Digital freebies and raffles also await you. Register now! Grab the opportunity to earn while you're still in college. Call or send Digital BICOL Summit 2016 a Personal Message for more details. This summit will provide you digital opportunities to advance your careers on November 14-16, 2016! 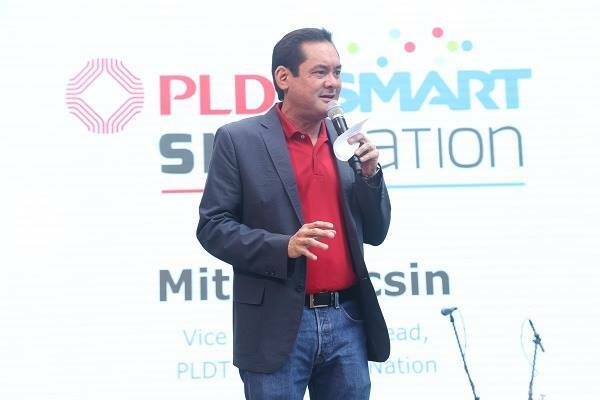 The Digital Bicol Summit is very proud to have the ‎Vice President and Head of PLDT Smart SME Nation, Sir Albert Mitch Locsin, as a major speaker for the First Day of the Summmit! Listen to this industry expert as he speaks about the COMMUNICATION TECHNOLOGIES THAT WILL CHANGE THE PHILIPPINES. In a few days Undas nanaman po, just a few tips before you buy your candles. A tip for us to support a Bicolano brand. Are you familiar with RCD Candles? I'm sure you have seen their logo. It's a shame that I didn't know that the brand I'm seeing in supermarkets is actually made in Naga. 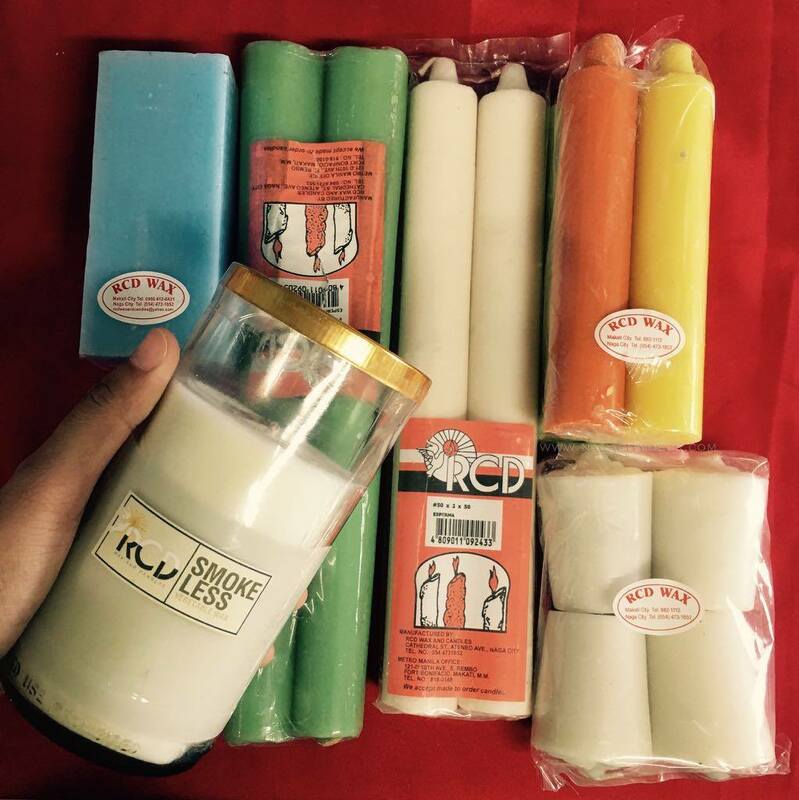 RCD Wax & Candles is the FIRST and OLDEST large-scale commercial brand for candles in Bicol, developed in Naga City. 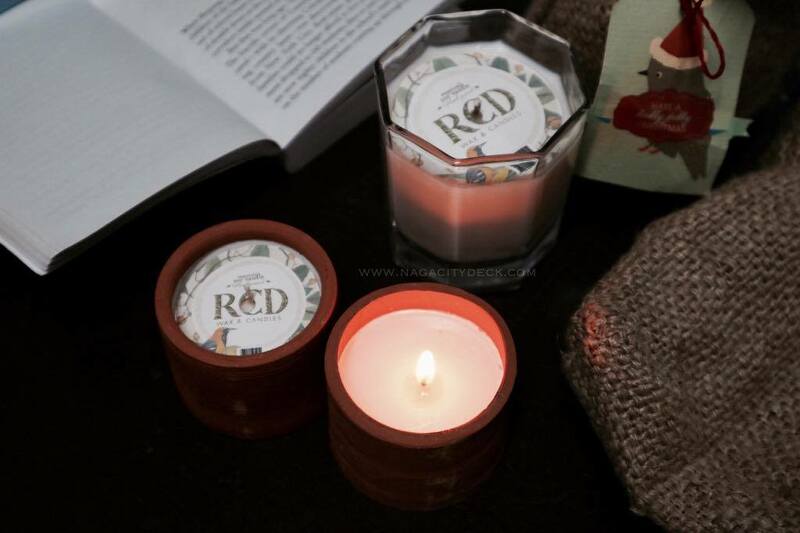 RCD candles are made from premium, all-natural, eco-friendly and smokeless wax. They have a wide variety of sizes, colors, style and uses that are very affordable considering its quality. They also offer souvenir packages, retail or wholesale especially this coming 'Undas'. They also have newly improved scented candles that are sure to delight your moods starting only from 95.00. Just to share my personal experience, I left the RCD Scented Candles in an ecobag in my office overnight and when I opened my office the following day, the whole room had a delightful aromatic smell because of the candles. A first impression that will really last long, that made me say "what more if I already light them on". No kidding, the candles will really set you in a mood to work or when you are at home to just relax. 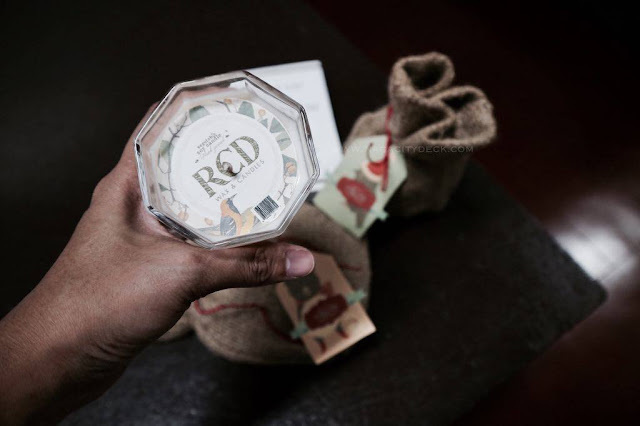 Let's support RCD Wax & Candles! #Supportlocal #BicolBrands Visit them at Cathedral st., Ateneo Avenue for displays and retail offers. Call 473-1852 or sms 0917 7272639 for more inquiries. 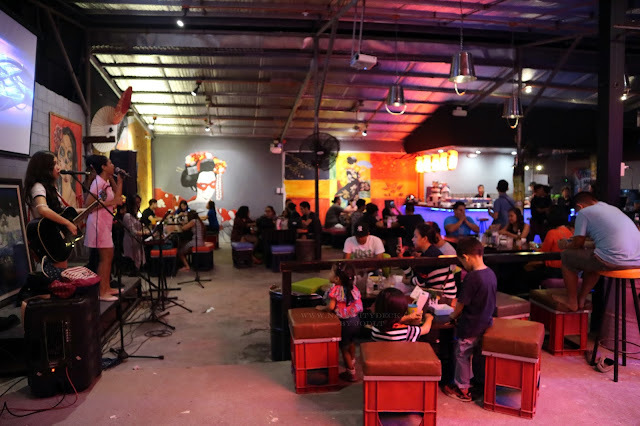 Naga City, Philippines - Magsaysay Avenue is known to be the city's entertainment and dining destination. This avenue is home to restaurants, bars and cafes of various kinds with local, national and even international brands. 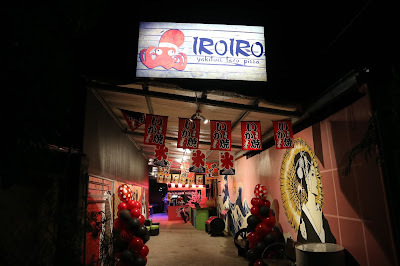 But let's bring the "various-ness" (if there's such a word) in just one restaurant alone called "Iro Iro" which is a Japanese word meaning "various". Iro Iro offers a fusion of Japanese, Korean and Mexican dishes. But wait, it's actually a MULTI-CUISINE restaurant since we also had sisig. Read and find out why. 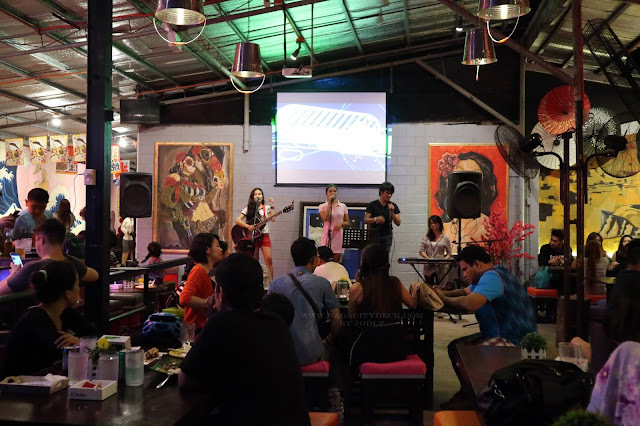 Location: At the back of Kinamon Restobar, Magsaysay Avenue. While some are not that familiar with the place, the nearest landmark that we can perhaps use is Bob Marlin. Kinamon is right across Bob Marlin. The first branch of Iro Iro is at Mayon Avenue and I haven't been there yet. 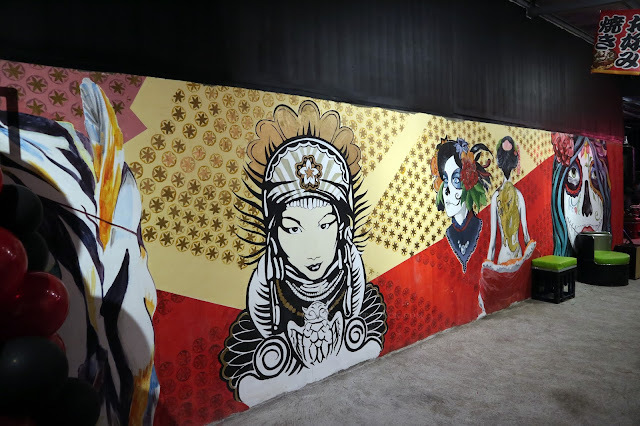 The entrance to the restaurant is actually a lobby with artistic murals both on the left and right wall. 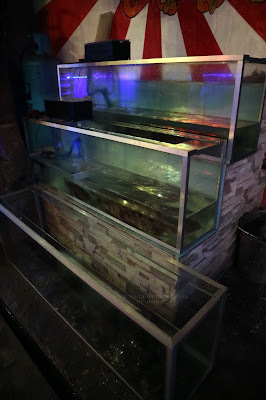 Unlike any other restaurant, you will not actually see the main dining area because the restaurant has the shape of an inverted "L". Notice the chairs? 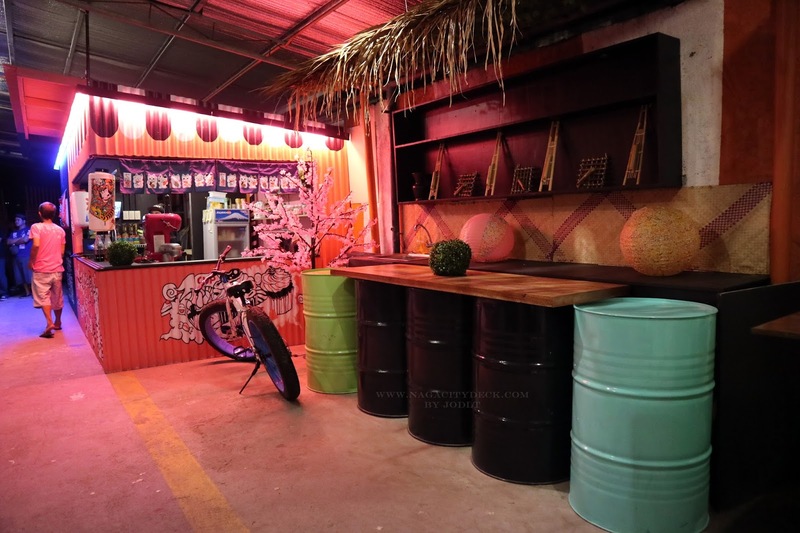 They are customized and recycled crates / drums. Thumbs up to this! According the owner, these murals were painted by students. As you enter enter the restaurant, the dessert bar will be the first one to greet you. This is where the Kakigori is prepared. "Kakigōri (かき氷?) 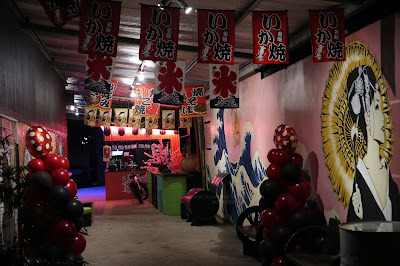 is a Japanese shaved ice dessert flavored with syrup and a sweetener, often condensed milk." 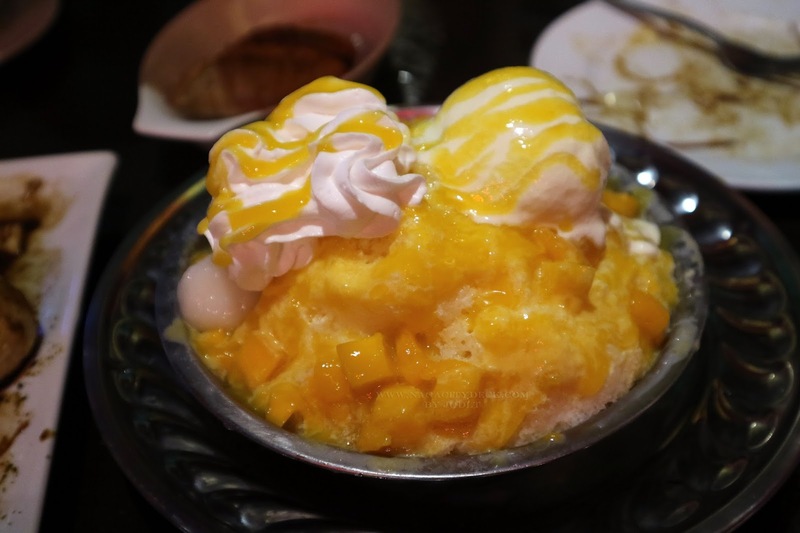 It is similar to the with the Korean dessert called Bingsu which is a Korean version of shaved ice dessert with sweet toppings such as chopped fruit, condensed milk, fruit syrup, and Azuki beans. Just to give you an info, this is also relative to the snow cones which is also popular in Hawaii and United States. I remember, I saw a Korean cafe at Ayala Malls Legazpi in Albay called Kaz Korean Cafe where they serve Bingsu. Across the dessert station is now the main dining area with a stage at the center for live entertainment performances. If you can notice, the restaurant is an open area with quite a high ceiling. I just hope it doesn't get too warm during day time. I guess that's why they have the insulators placed on the ceiling to at last keep the area cool. I just hope they also separate the area for smokers and non-smokers. I mean, although it's an open space, at least, do not allow direct contact of smokers to non-smokers. Personally, I want to enjoy my meal without me having someone beside me smoking a cigarette. *Prices may vary without prior notice. 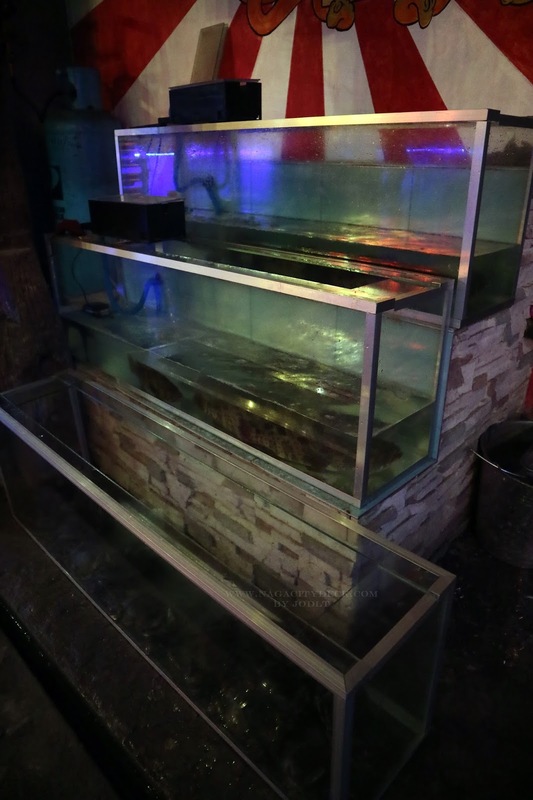 They also have fresh sea food ready for cooking. This will actually mean a little bit of waiting time for you if you want to order freshly cooked sea food. This is near the bar, every corner is just so artsy, even the ceiling. 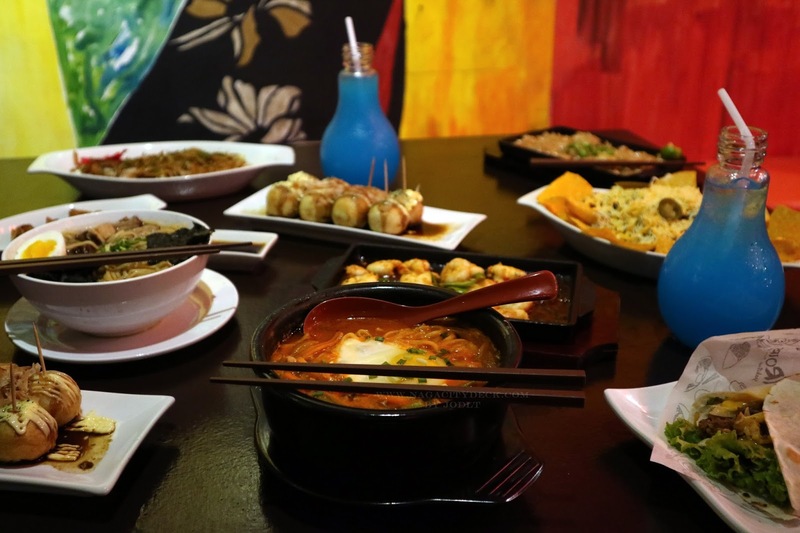 Since the restaurant offers a variety of cuisines, expect a menu with so many options that sometimes it would be hard to choose. You could always ask the servers for specialties and recommendations. 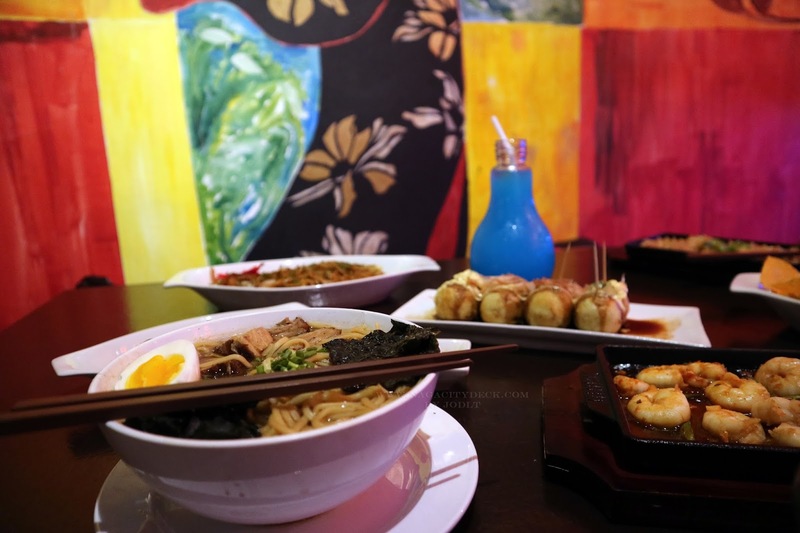 As a starter, they offer soup starting from P300 to P350, good for sharing. 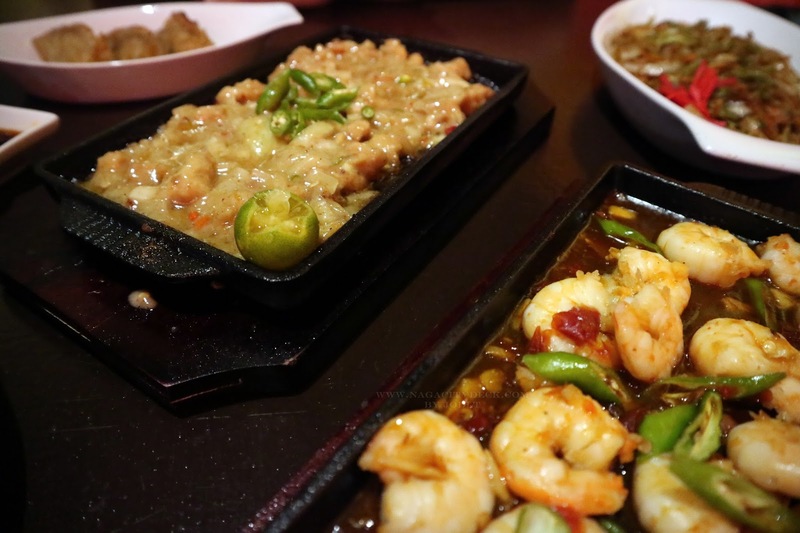 Appetizers like Pork Sisig, Calamares Crispy Tuna Tail and others start at P140 to P180. They also serve Pasta starting from P250 to P280. 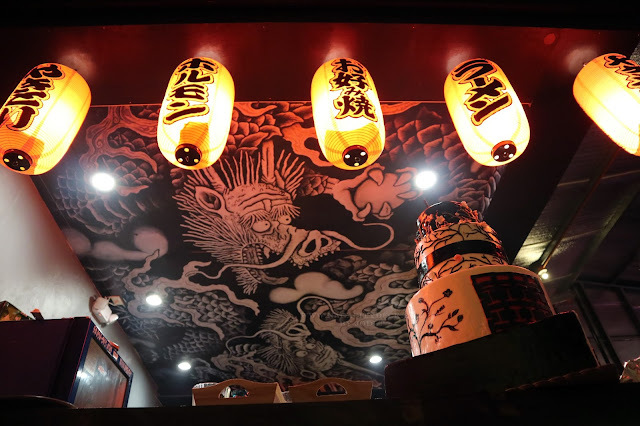 Japanese and Korean style burgers start from P149 to P159. Pizza starts at P190 to P250. Now let's start with the Japanese food. Iro Iro offers Bento Lunch served with rice which starts at P55 to P130. They actually have a lesser price at around P10 to P20 less from 11:00 am to 2:00 pm. To name a few, they have Gyoza, Tonkatsu, Teriyaki Chicken, Gyudon, Katsudon, Karaage, Omurice and a lot more! 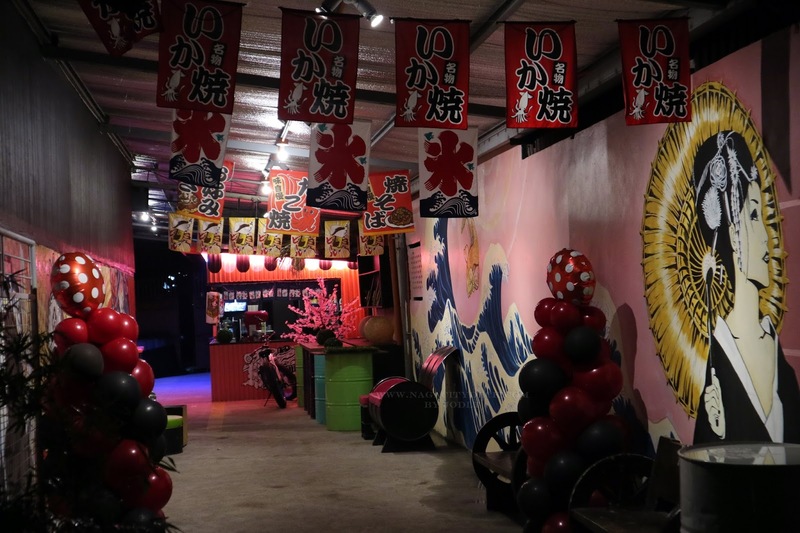 They also have Yakitori (grilled chicken) starting from P20 to P30. In layman's term, Yakitori is a chicken on a barbecue stick. 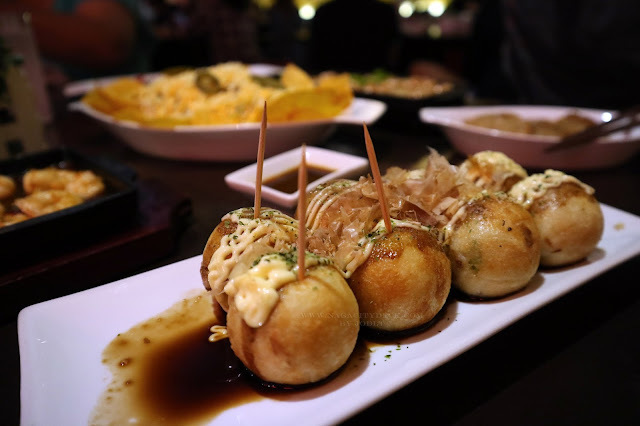 Takoyaki starts from P80 to P110 with 8 pieces per serving. 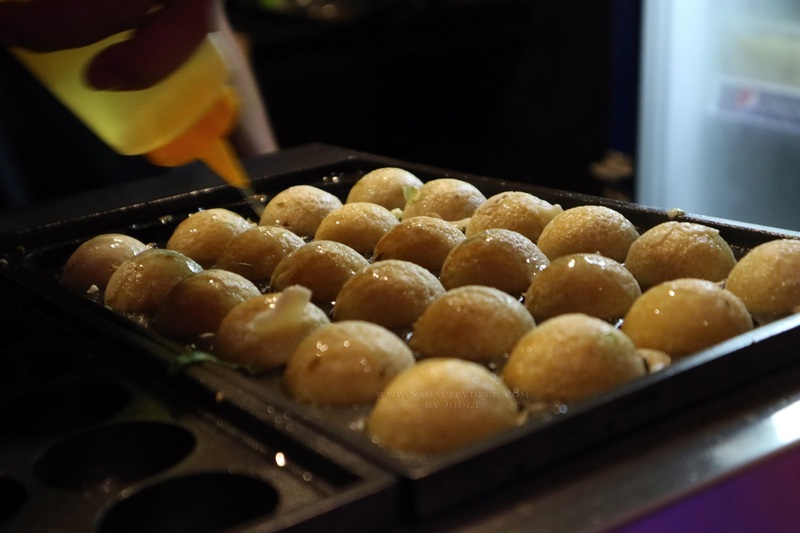 I know you are familiar with takoyakis being sold in kiosks in malls, Iro Iro's Takoyaki is way beyond that in terms of the size and flavor. 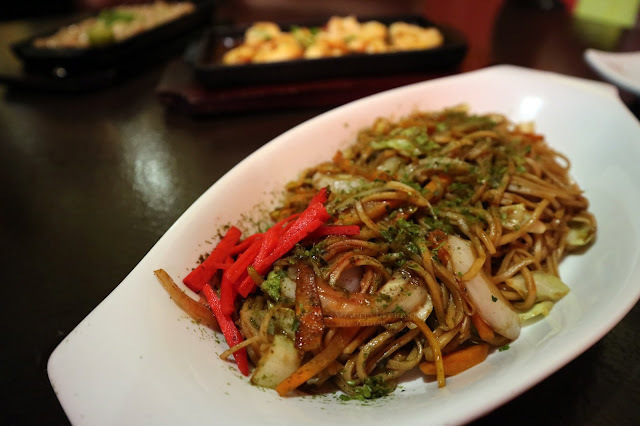 Yakisoba starts at P99 to P130 per serving. 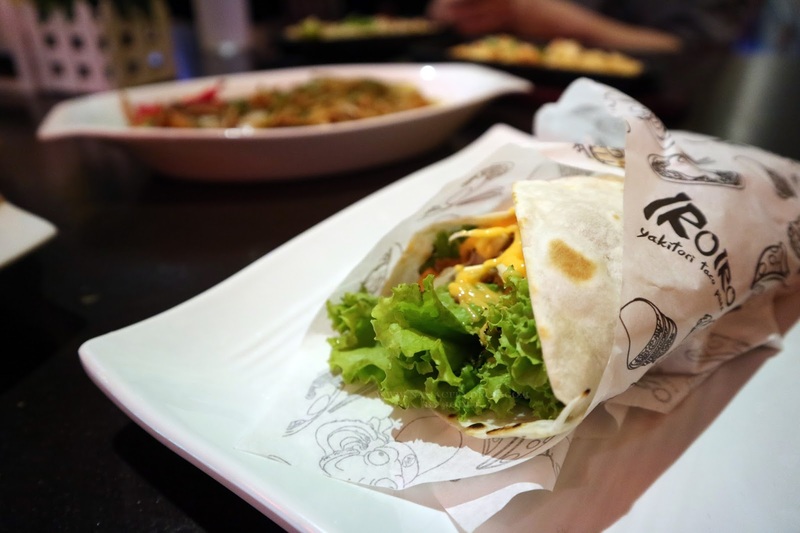 This can be actually good for sharing of at least two persons if you will still order other dishes. 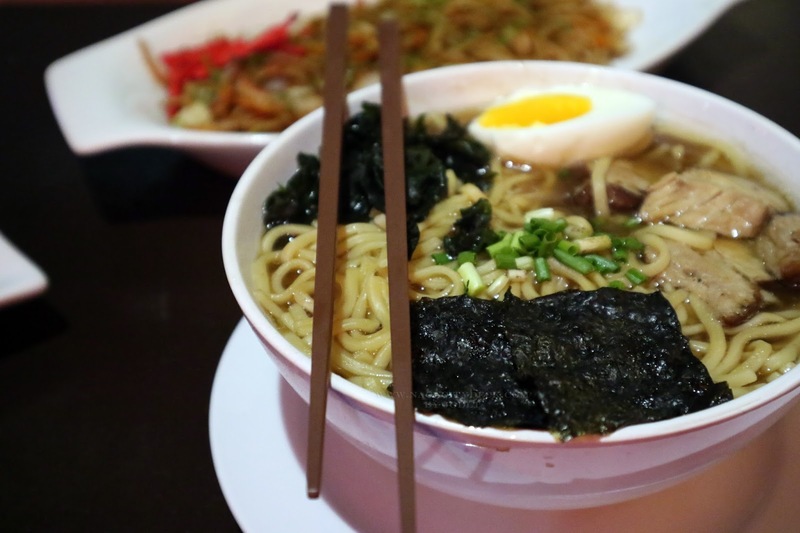 Ramen starts at P130 to P180 depending on the flavor. My personal favorite would be the Korean Hot & Spicy Ramen. Other flavors are Sho-Yu, Chasu, Kuppa, Miso Corn Butter, Korean Soft Tofu and Hiyashi Cold Noodles. They also serve Okonimiyaki, is "a Japanese savoury pancake containing a variety of ingredients. The name is derived from the word okonomi, meaning "how you like" or "what you like", and yaki meaning "grill". Iro Iro also serves Rice Bowls, Grilled Chicken / Pork / Sea Foods, Sukiyaki and Indo. They offer rice for single serving or for sharing with a size of medium to large. 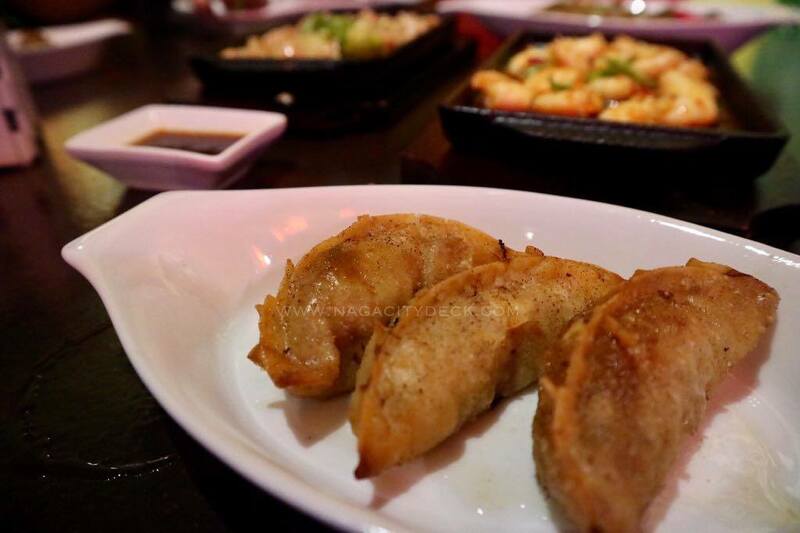 "A Japanese dish consisting of wonton wrappers stuffed with pork and veggies". To be honest, I'm not a fan of this dumpling. But you might like it though. It's just me. 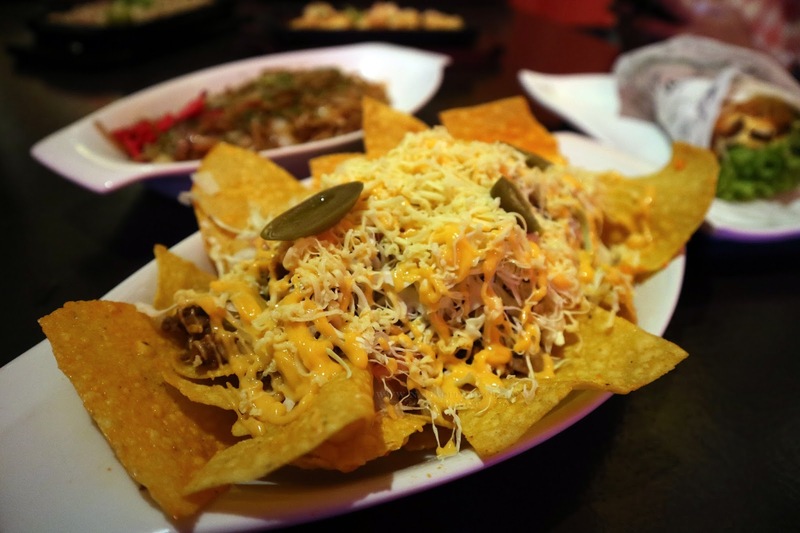 They offer Taco, Nachos Burrito from P89 to P130 in Beef or Chicken. They also have Mexican Taco Pizza, Teriyaki Pizza and Hawaiian Pizza. Surprisingly, they also offer French Fries, which means we can add up American in the list. Pork Sisig at P140 and Gambas at P260. I personally liked the gambas, it's spicy and flavorful. 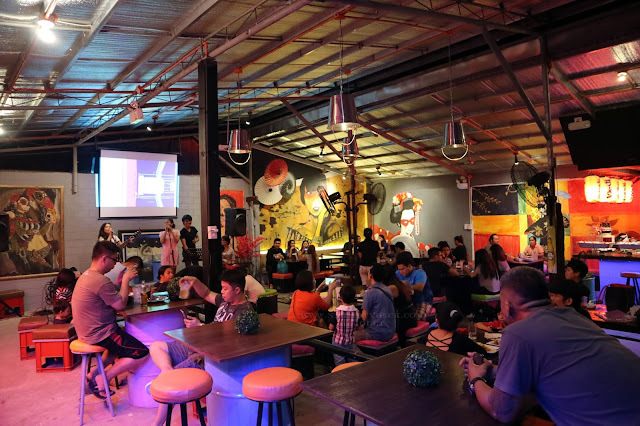 Drinks start at P35 to P45. 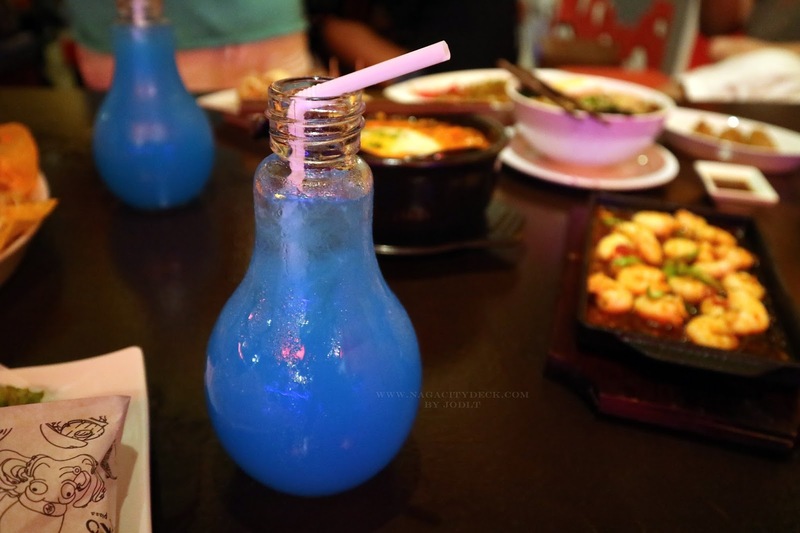 Photo below is a blue lemonade at P40. I lovedddd the Mango Kakigori! It starts from P130 to P140 and is actually good for sharing. But if you have a sweet tooth, you can actually have it on your own haha. Notice the white round thing on the side? It's actually like our "hulog-hulog". 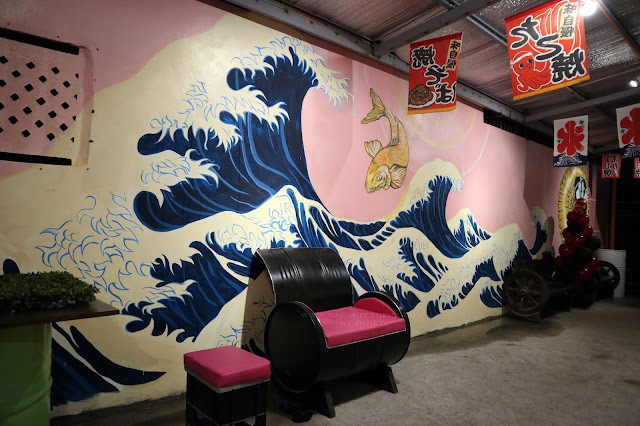 So there, with the various offerings of Iro Iro, one visit is not enough. Share us your Iro Iro favorites too so that the next time I visit, I would also try your recommendations. Naga City, Philippines – The rewarding experience of sharing a feast is just one of the many perks of cooking especially for Filipinos, and Jolly Heart Mate Canola Oil ambassador Chef Donita Rose happily shares her passion in cooking just like during her Regional Festival Tour, Penafrancia Festival. The celebrity chef is currently doing a series of festival cooking demo mall shows for Jolly Heart Mate Canola Oil around the country. 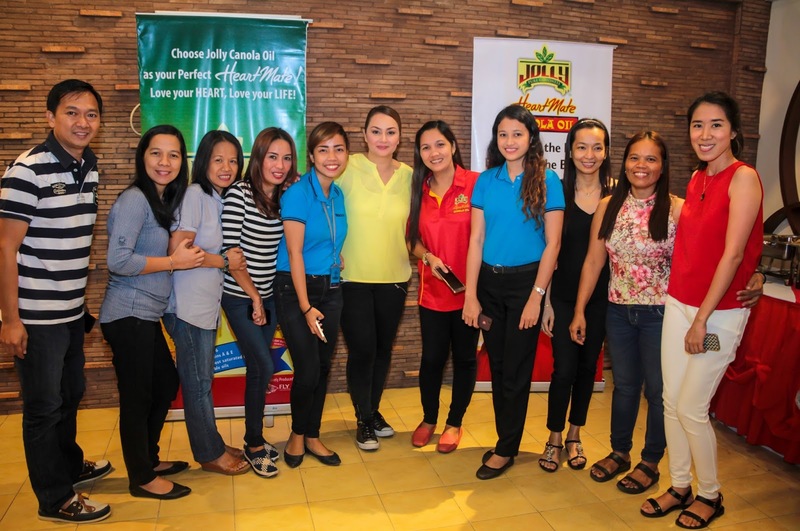 As the second part of the ongoing Philippine Festival Tour of Jolly Heart Mate Canola oil, the cooking demo of Chef Donita Rose to celebrate the Penafrancia Festival which happened at SM City Naga last September 19, at 4:00 PM. In this event, Chef Donita cooked “Banana wrapped Tilmok”, a crab and coconut milk dish popular among Bicolanos. Chef Donita added her own twist to the recipe using her cooking techniques and unique ingredients fresh from Naga. 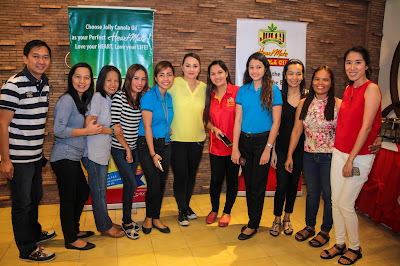 To complete their festival experience, Bicolano mommies and foodies had the chance to try the sample dish made by Chef Donita and has been part of some mini games during the show, and won Jolly Heart Mate Canola Oil freebies. 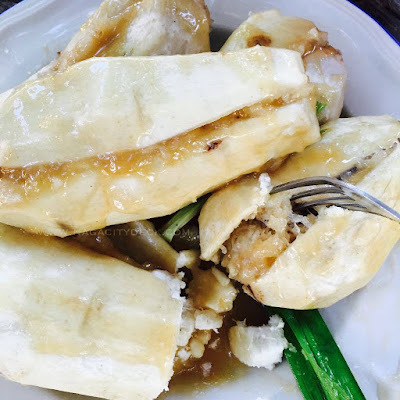 “Bicolanos, with their wide array of food cuisines, really love to eat particularly during Festival time. 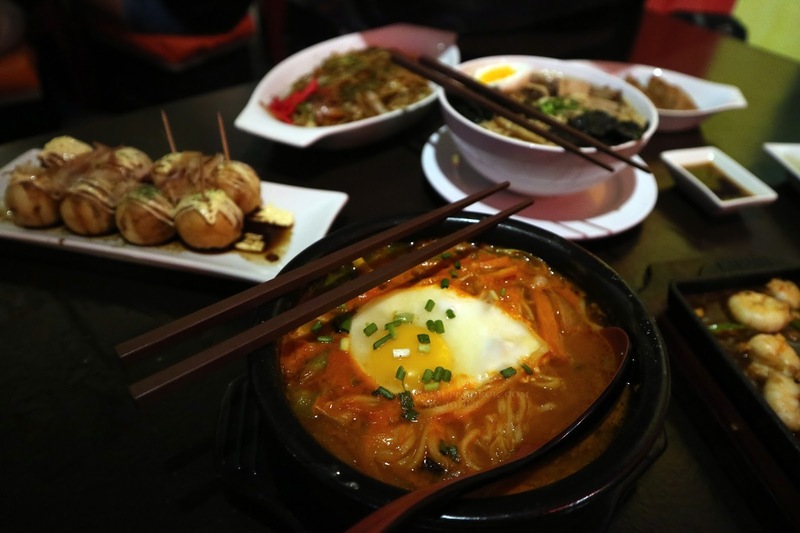 Our culture is practically centered on food which brings families closer, so we should also be aware of how we prepare the food and what ingredients we use for the dishes that we serve,” said Donita. 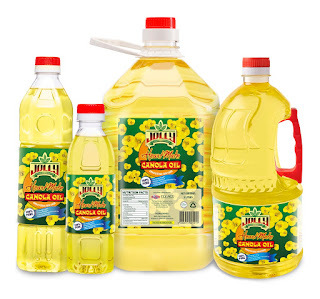 Chef Donita also wants to help Bicolanos prepare delicious dishes using their harvest, and making it heart healthy with the use of Jolly Heart Mate Canola Oil. “We must always be conscious that the ingredients we use should be good for the heart, like Jolly Heart Mate Canola oil which contains the lowest amount of bad fats (saturated fats) but packs in the good kind like omega 3 and 6 that are good for the heart,” Donita shared. “We are very happy that Donita continues to be the brand ambassador of Jolly Heart Mate Canola Oil; she easily connects well with her audience given her lively personality. Her passion for cooking can be easily seen, and we believe that she can inspire others to live a healthy lifestyle by using a healthy oil like Jolly Heart Mate Canola Oil in all the dishes we cook at home and especially in festivals such as the Penafrancia,” added Zen Prudentino, Fly Ace Corporation Senior Product Manager for Jolly Heart Mate Canola oil. After the Penafrancia Festival, Donita is scheduled to have a stopover in Bacolod for the Masskara Festival in October as part of her nationwide festival tour. For more information on Chef Donita’s Festival Tour with Jolly Heart Mate Canola Oil, visit their facebook page on www.facebook.com/JollyHeartMateCanolaOil.